We hadn't been to the range to shoot in a while so we decided to go to the "Riverside Range" in Cuyahoga Falls (we call it Coyote Falls) which is about 45 minutes north of us. There is a range a lot closer to us that we go to for the handguns and shotgun, but they don't allow any large caliber guns so off to Coyote Falls we went. The range was hoppin' with business so we had to wait a while for a lane to open up (they only have 7 lanes there). After about 15 or so minutes we were able to get a lane. They told us that they were having a problem with the conveyor system that moves the targets out so the targets could only go out about 25 yards instead of the normal 50 yards. I started with the M1 Garand, but was so excited about shooting it that we forgot to take a video of it (DOH!!!!!!!). It definitely grabbed everyone's attention REAL QUICK! After the first shot, the range became quiet as everyone started popping their heads around the corner like prairie dogs to see what I was shooting. As one of the guys 2 lanes over came over and said "I can't imagine shooting that thing with no ear protection like they did in the war!!!" Next we both shot the AR-15. 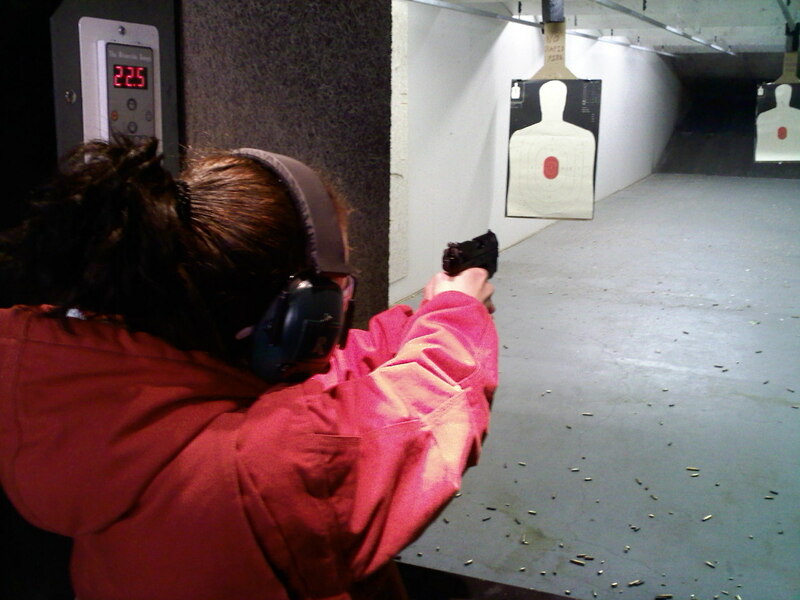 It was Juli's first time shooting it and she did AWESOME! We finished up with the Walther P22 since the ammo for it is so cheap. Next time we go, we'll get some video of the Garand... I Promise!